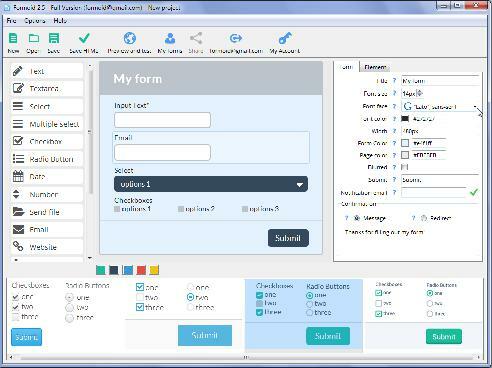 Formoid is a free desktop app that helps you easily create html forms, jquery mobile form, css forms, html5 form and more in a few seconds without writing a single line of code. Create fancy online forms in just a few clicks. Great Idea! Takes the 'leg work' out of creating the base for forms. I've been thinking on this idea for ages. One suggestion.. There's not much about Formoid in your website. Hi, I have a small question for clarification..... Is it the email address I want the form submitted to? Just not clear on that.